Breaking news! Trust is an all-time low among consumers right now. And that’s pretty understandable with the overwhelming amount of information out there today and our customers being more well-informed even before they buy something. The huge, huge challenge, therefore, is how do you master the art and science of persuasion and influence? 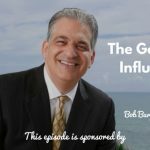 Today’s guest, Kurt Mortensen, author of the book Maximum Influence, takes us into the world of persuasion and influence and how we can improve on those skills necessary for generating sales. It’s not about the closing skills. Seller vomits all over the prospect. Adapt to and understand the prospect. Studies show that when people like you and trust you, you have an 88% chance of persuasion. Not only do you have to persuade them in the way they want to be persuaded but you also need to help them persuade themselves which is another important to your success. Teach them something new, different, and creative or something’s going to help them how you’re going to serve them upfront that they’ve never thought of before, that opens the door to having a need. Once you’ve created a need or want, then you can build rapport and work through that. Up to 95% of persuasion involves a subconscious trigger. You will be judged for the first 30 seconds whether they’re going to buy from you or not. Emotional subconscious things have a bigger effect than logic salespeople use. Great persuaders ask three times more questions. They are consultants rather than salespeople. Change some of the verbiage. Change the word “sales” to “consultant” to reduce resistance and empower salespeople to be consultants. Salespeople hear the same objections over and over again so they tend to cut the person off and give them the answer which triggers arrogance. Every word you use will attract or repel people – contract vs. paperwork, sign here vs. endorse this, etc. Be careful with using words that freak your prospects out. There are more tools you need to adapt and get them to learn how to sell with power. You’re not as good as you think you are and your people skills not as fine-tuned as you think. People don’t trust you as much as you think. Open your eyes to these to realize you need to change some things. Sales is awesome. Have fun. You have a moral and ethical obligation to persuade people into salespeople. Develop your sense of humor. Humor and influence have an incredible correlation. Making your prospects smile can change everything as it changes their mood. 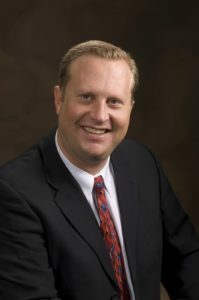 Listen to Kurt’s podcast at www.MaximizeYourInfluence.com to learn about the latest science and art of persuasion and influence.